A marathoner in China had a special companion tag along with him. 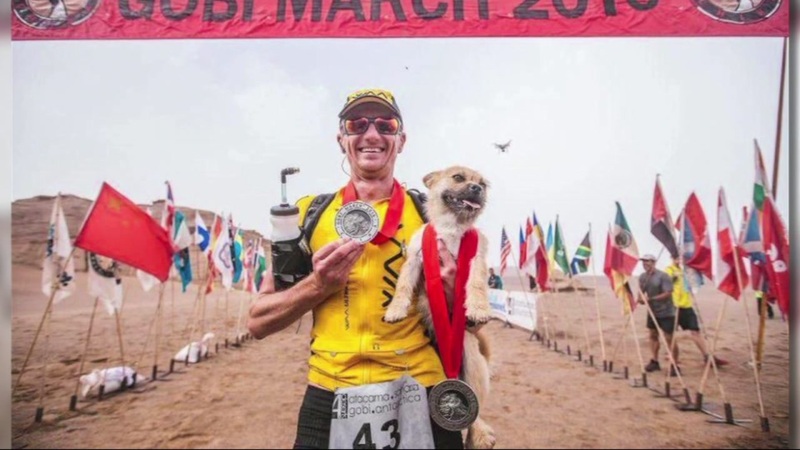 A stray dog started following Dion Leonard during a week-long race across the Gobi Desert. The dog he nicknamed "Gobi" stuck with him for days, running 77 miles by his side. "It was an amazing experience to run into the finish line with her. And my wife actually says to me it's the only time I've ever seen you smile at the end of a race," Leonard said. Leonard is planning to officially adopt Gobi. The dog must first spend four months in quarantine recovering. The hope is the pair will be reunited by the holidays.